Ryanair welcomed the 2018 findings of a research project carried out by CEPS (Centre for European Policy Studies) exploring the impact of low-cost carriers in Europe in terms of integration and patterns of mobility. The report, titled ‘Low-Cost Airlines: Bringing the EU Closer Together’, considered several channels to assess the extent of the contribution of low-cost carriers like Ryanair to European integration including labour and student mobility, business travel and leisure tourism. Focusing on quantitative data as well as qualitative, individual case studies, the report served to highlight how low-cost connectivity improves the quality of people’s lives. 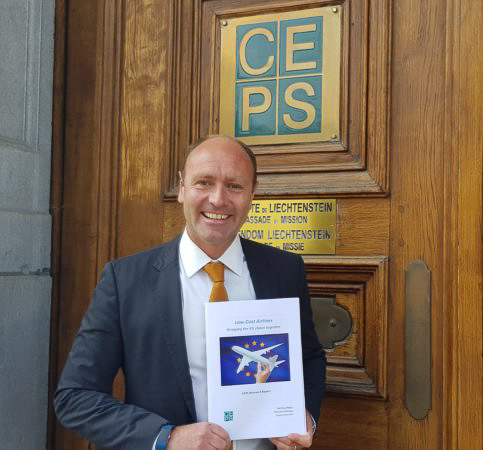 The report found that LCCs played a vital role in bringing Europe closer together by fostering mobility and making air travel affordable to a wider public. While Ryanair will continue to offer the lowest fares and widest selection of routes, the airline called on the EU to tackle key aviation issues – including travel taxes, ongoing and unjustified ATC strikes, lack of competition and artificial capacity constraints – that continue to be prohibit further growth in the industry.